In a skillet over medium high heat, add olive oil. When hot, add onions and cook until softened and translucent. Add the ground beef, season with garlic powder, black pepper and salt. Brown ground beef and skim any rendered fat from the pan. Meanwhile, in a blender, puree the tomatoes, chipotle peppers and adobo sauce. Transfer the mixture to the pan once the beef has been browned. Cover and simmer for 20 minutes. 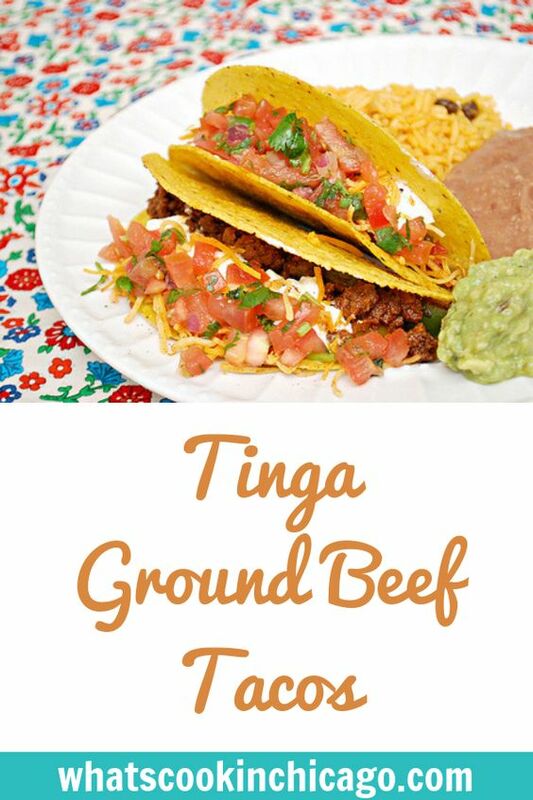 My husband is always begging me to make more ground beef...and he LOVES tacos so this will be a HUGE it! Thanks! 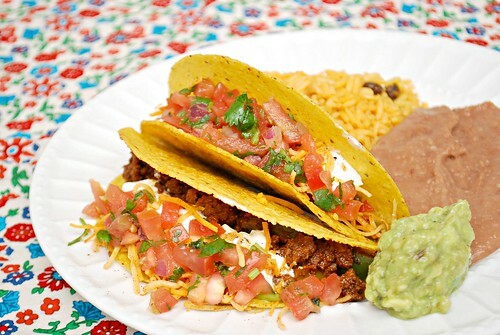 I absolutely love Mexican food. No further convincing needed...I'm in! Oh, I have to try this! We eat so many tacos that something a little different would be nice! You said pico de gallo. I'm in.